Height: 4", Diameter: 2 1/2", Handle Length: 2 1/2"
This steel tea bell has been burnished and nickel-plated. It is attached to a beautiful black enameled wooden handle. 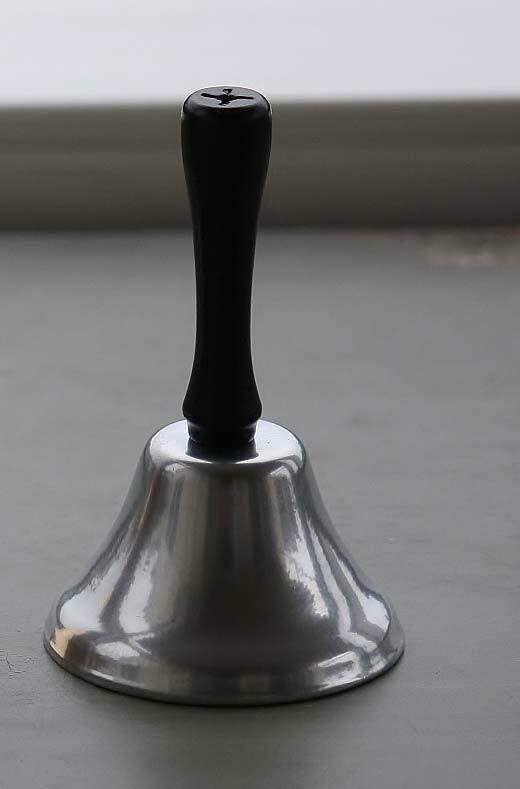 The bell makes a clear ringing tone and is useful getting the attention of family or guests. Product made in America.